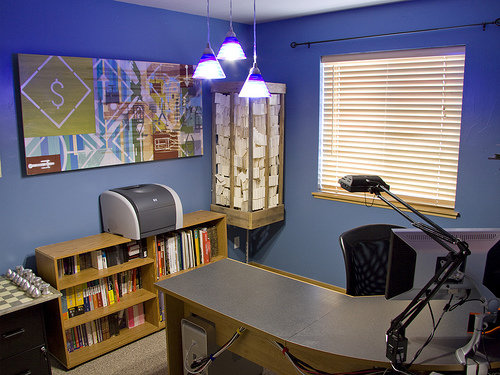 Move into a NYC Virtual Office and Let Your Employees Work from Home! Could getting a virtual office save your business money? Many businesses have found smart ways of reducing operating costs over the past few years – they’ve had to! One of the ways some businesses have achieved this is by choosing to operate via a virtual office instead of unnecessarily paying full-time rent for expensive office space. Many single person businesses have been using NYC virtual offices for years. Now, larger businesses are discovering that by allowing employees to work from home, they reduce their need for office space and office infrastructure – and the cost involved in maintaining it. With communication methods now facilitating easy verbal and visual communication from virtually anywhere in the world, and technology making the transmission of documents simple and reasonably secure, going into the office just isn’t as necessary as it once was. And why waste money paying for what you don’t need, right? Your -office rent- could drop to as little as $25 a month! For some business types renting an office is beginning to seem a little old fashioned. Why not improve your lifestyle and that of your employees by taking advantage of the choices improving technology has made available? Speak to us about a NYC virtual office today and your business and employees could have a new ‘lease’ on life tomorrow! If you’re a freelancer, consultant or professional who works from home, a NY virtual office could be just what you need to help you separate your working day from your private time. There are numerous benefits attached to being able to run your business from home. You don’t have to travel to and from the office each day; you get to spend a little more time with family; and you can start, finish and take breaks whenever you want to. At least that’s the theory. For some, the reality is quite different. Many people find it important to mentally separate home from work – perhaps it’s because home is traditionally a refuge from work. Having business clients attending your home address isn’t always a desirable scenario and if you’re using your home telephone number for business, you can find you are taking work calls at all hours, seven days a week. A virtual office could be your perfect answer. It can give you a prestigious business address to include on your business cards, letterheads and websites. You can make occasional use of office and meeting space at our virtual office premises for giving special presentations, or when you simply want to work in a quiet space that is away from home. You could regularly use an office at our address for consulting or meeting clients, for example, if you schedule meetings only on particular days of the week and do the remainder of your work from the comfort of home. You can arrange for a receptionist to answer calls to your office number and take messages for you; or you can have calls forwarded from your office number to your own phone. You can receive mail at your New York office address and either collect it or have it forwarded to your home address. If you enjoy the lifestyle that working from home offers but you’d prefer to maintain the privacy of your home, a NY virtual office might be the solution you’ve been looking for. What do we do here at ManhattanVirtualOffice.com? Simply put: We help international and domestic companies establish their business presence in the business capital of the World: New York City! The Big Apple! The Empire State! The crossroads of the World! ManhattanVirtualOffice.com initially offered its services to the local market. With the proliferation of consumer Internet access, the Company was the first in New York City to offer NYC virtual office services interactively via the World Wide Web. With this success, VH International Business Solutions established an instant business-to-business worldwide access to the New York market making available for the first time New York City virtual office services for organizations of all sizes, from the independent entrepreneur to enterprise-level Fortune 500 companies. Today ManhattanVirtualOffice.com offers a comprehensive suite of executive office and business support services that can be tailor-made and bring about a meaningful difference for any company of any size in the world. We pride ourselves on service that is reliable, efficient and competitively priced all backed by our celebrated no-nonsense world class customer service. Our mission is to ensure our clients get the service they deserve and are entitled to. Our 25 years of service add up to strength, experience, and reliability. Offering unbeatable service to individuals, small and mid sized local companies; as well as larger domestic and international firms seeking to establish a presence in the U.S., and particularly in the New York market. As the pioneer of interactive web-based virtual office services in New York City, we are the leader and have the most expertise in working with local and global businesses when entering the New York marketplace. While others emphasize services, we emphasize service. Since our inception, 25 years ago, our focus on customer service has never wavered. We understand our client’s specific needs; there is no such thing as one solution for all. Because we offer client support staffed by seasoned professionals, whether you are an independent professional or a business, we are highly capable to deliver timely solutions again and again with a very satisfied customer rating. By always staying in touch with our client base, we have also been able to anticipate their needs and grow with their business. That’s one of the major reasons why we have been so successful. 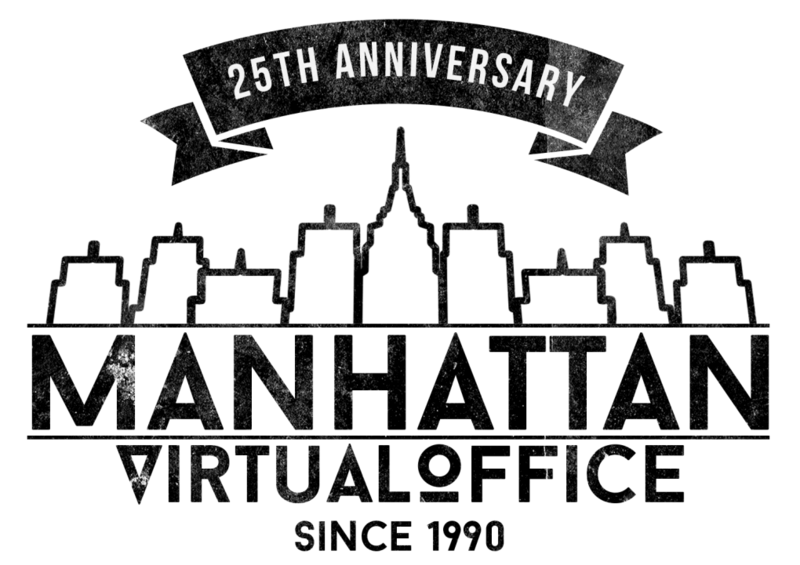 We very much look forward to the next 25 years. Today, ManhattanVirtualOffice.com offers personalized services globally to individuals and companies in fields as diverse as financial consulting, government agencies, authors, artists, importers, exporters, manufacturers, distributors, attorneys, accountants, consultants, agents, record labels, movie theater chains, business professionals, etc. Whether their objective is to gain a market foothold or expand current marketing opportunities, our clients benefit from the unique blend of personalized services developed over the past 25 years; combined with an address that confers credibility. 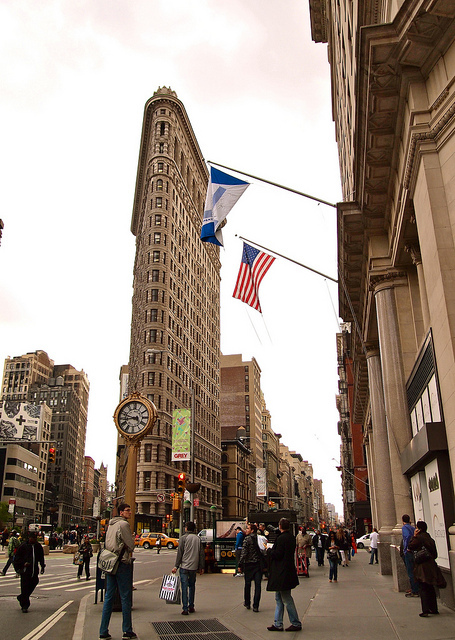 Let’s face it, having a New York City address may actually help a business grow! By establishing a presence in what is undoubtedly one of the most renown cities in the world, our clients enjoy an address with an international flavor, arising from the wide variety of New Yorker’s who are either of foreign origin, or who do business with countries outside the United States. ManhattanVirtualOffice.com’s hands-on management oversees the company’s daily support of businesses located in New York and throughout the world. Our dedicated staff ensures that VH International Business Solutions‘ clients receive the prompt, courteous and accurate service that they require, and to which they are entitled. We are all very proud of this accomplishment and grateful to our clients and employees who helped get us here. Why Should You Get a Virtual Office in NYC? Plainly speaking, paying for a NYC virtual office subscription would allow you to enjoy all the advantages of having an office in the world’s business capital but at a fraction of its cost. To illustrate that point more effectively, here are a few examples of what exactly those advantages can be. It may seem silly, but most people instantly think of companies with prime addresses in NYC as credible and of good repute. If your company has only been recently established, then this advantage would be of especially good use to you. 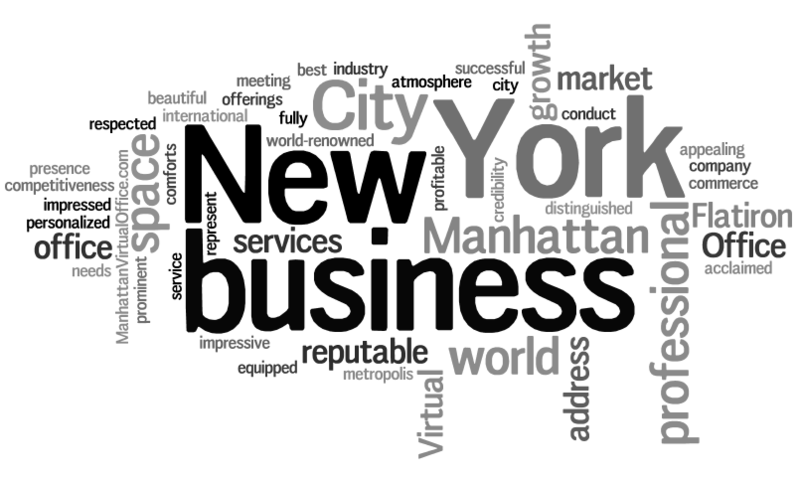 With a NYC address supplied by Manhattan Virtual Office .com, prospective clients won’t expect you to jump through all sorts of hoops just to prove that you are a legitimate operating business. Clients are also less likely to waste your time with lowball offers just because they think you’re desperate to build a customer base for your business. With the help of a virtual office, your business will hit the ground running and start on equal footing with the largest corporations in your industry. Charge the rates your services are truly worth. When you are just starting out, your rates or prices tend to be lower than what they’re supposed to. At this point, you are focused on wooing customers away from the competition. Naturally, the most effective way to capture their attention and convince them to give your business a try is to offer them the same deal – or maybe offer them even something better – for a lower price. But if you have a NYC virtual office, you don’t have to do that any longer. Clients won’t expect them to cater to their demands. Rather, it’s the opposite. They’d be more than willing to pay the premium rates because they prefer to enjoy the “prestige” of being able to work with a company based in NYC! Be qualified for “VIP” client accounts. Let’s say you have a home based flower supply delivery business in a small town of Florida. Because of the size of your company and its location, most of Florida’s largest companies will dismiss your services out of hand. It’s not that they think badly of your services. More likely than not, they just feel you do not yet have the expertise, experience, and resources necessary for meeting their needs. But if you were to get a NYC address from a ManhattanVirtualOffice.com you don’t need to make any kind of overture. With the right Internet marketing campaign in place, you only have to wait before those companies you wish to impress would come knocking on your door. After all, it would be to their advantage if they get a prestigious “NYC firm” like yours to act their official floral delivery service. Then again, why limit yourself to the biggest fish in small ponds? With a prime NYC office address, your business is qualified to offer its services to businesses in NYC as well and even in other cosmopolitan cities of the world! You’re one business day away from opening a NYC Virtual Office. Click here to apply online today. After completing his degree in language studies, Carlos, a native of Argentina, worked as a translator in the marking department of a fortune 100 company in New York. He freelanced during his free time, evenings and weekends for an international translating company, only taking assignments he knew he could finish quickly without interfering too much with his free time or his hectic daytime workload. Seeing how easy it was to do a little work on the side, Carlos tinkered with the idea of starting his own translation service. He also missed his hometown and loved the idea of returning to Argentina to spend more time with his family and friends; he knew that starting his own business would be the only way to have freedom and financial independence. Carlos hated the idea of debt and didn’t want to make any large upfront investments in this new venture, he figured the best way would be to use money generated by his moonlighting efforts to grow his business. He started a small website, noting all of his credentials and within a few months he started to get small translation jobs: letters, documents, contracts etc. Any new income was immediately returned and reinvested into his new business. His translation service was starting to slowly and little by little, generate some profits. Carlos would be the first person to tell you that it took time; time to get picked-up in search engines and time to grow his client base, but he was determined not to in-debt himself by taking any up-front high interest loans to grow his business. He would do it himself, no loans. After about a year, he started to get jobs where his larger corporate clients wanted to pay him with checks; he normally accepted Paypal payments for jobs. The problem now was: Where should his big corporate clients mail these checks to? He couldn’t have them sent to his day job… and definitely not to his home address. Not aware that he had any options, Carlos would visit the client’s office and pickup his checks personally. He couldn’t keep running around the city for checks, this was taking way too much time, not to mention it being exhausting. Another bump in the road came when a client wanted Carlos to translate audio documents; the client wanted to mail him CD’s with audio files and not email them because the files were too large. Carlos realized he needed a professional business address for sure and fast. After learning about virtual offices, he started searching and comparing services online; he chose New York’s premier service, VH International Business Solutions. Carlos opened his New York virtual office with VH International Business Solutions, including rental of a physical office space. He finally had a company to run his New York business presence while still working and maintaining his day job. He was able to receive all his documents and correspondence at his New York virtual office and then have everything forwarded directly to his home. Every piece of mail he was receiving was either a check or an income generating project, so as far as Carlos was concerned, every piece of mail was paying for itself! His translation company was surely growing. He was finally starting to get overwhelmed and began outsourcing some of his projects to peers. Who can’t use a little extra income? Then the unexpected happened, Carlos’ day job announced they were downsizing several departments, his was one of them. This wasn’t good news. Even though he had worked there for a few years, he was still one of the most recent team members; his department was barely holding their head above water. Carlos had an idea and approached his immediate supervisor who, in turn, took his idea to the higher-ups: If Carlos accepted a layoff, would they consider outsourcing work to his translation company? After all, outsourcing is much more cost effective than keeping a full-time staff member. It was a far out idea but, it worked! They accepted! 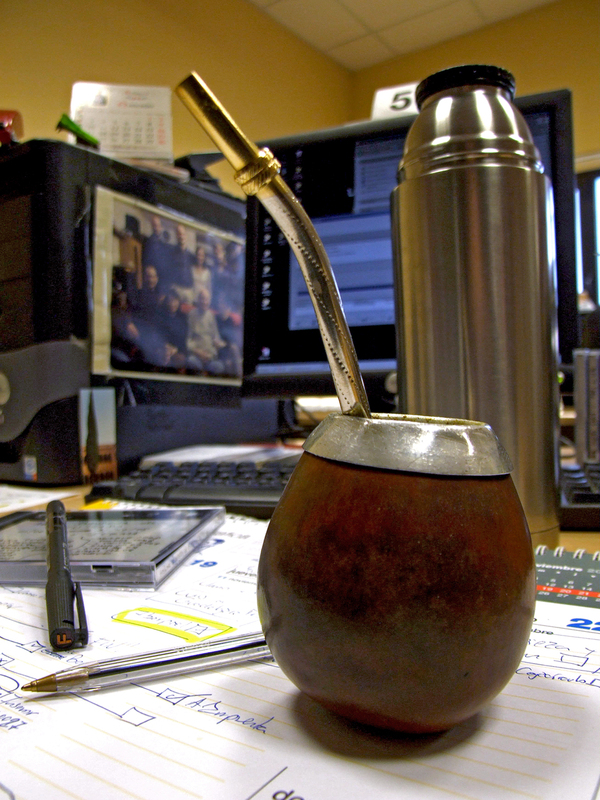 Carlos is now happily not only back in his beloved hometown in Argentina, but he also remotely works from there! The best thing is, his clients don’t know he’s there – they think he’s working out of New York, NY. Even though he’s over 5300 miles away he does, after all, have a New York City business presence. The peace of mind, freedom and convenience offered by a virtual office service from reputable company is not only essential for Carlos, but priceless. Carlos does come to New York about four times a year to meet with clients and to conduct interviews with potential freelancer translators in his New York virtual office. We are proud to still call Carlos one of our valued clients – and congratulate his success.